Front Porch Realty - What is a Short-Sale? With all the talk about foreclosures and short-sales, I thought it might be helpful to try and explain exactly what a “short-sale” is and how it may benefit a buyer and a seller. A “short-sale” is just what it sounds like…the sale is shorted. When a home sells for less than an owner owes on their mortgage note(s), and the seller cannot come up with the difference to pay all that is owed, the mortgagor may accept a short payment. The lenders are much more open to this idea than they used to be because of the down economy and increased number of homeowners falling into default on their mortgage payments. The bank does not want to foreclose on your home! It costs them lots of money to take possession of your home and put it back on the market to sell. If you are a homeowner needing to sell your house because of job relocation and/or a financial hardship, a short-sale may be an option for you. We need to decide on a market expected sales price and then see if all your expenses and payoffs can be covered. If not, contacting your mortgage company(s) is the first step. We can help you through the short-sale process as we have done many of these alternative type of transactions in the last couple of years. 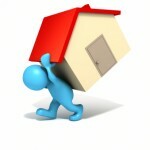 For a Buyer looking at a “short-sale” home to purchase, patience is the key. Sometimes the banks can take a long time (30-90 days) to give an answer on a sales contract as to whether or not they will accept the “short”. The listing agents have to prove market time of the property, and prove that they have achieved the ‘highest and best’ offer for the bank. Once a bank approves a short-sale offer things can move very quickly to closing which will result in most likely ‘a below market price’ for the buyer and an avoidance of a foreclosure for the seller.